I am a Certified Public Accountant making unclear topics, such as taxes and business, clear. 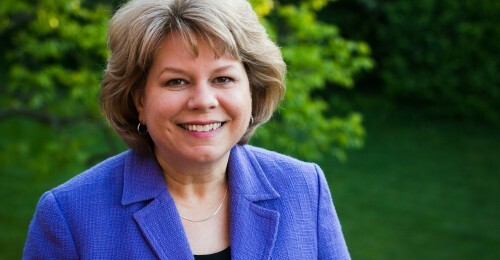 I offer books, ebooks and services to micro business owners, writers, and small nonprofit organizations. 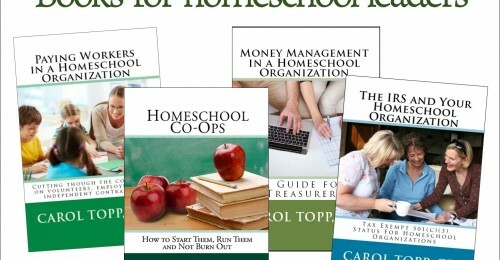 Listen to my podcast, the Dollars and Sense Show for tips and advice about running a homeschool organization. 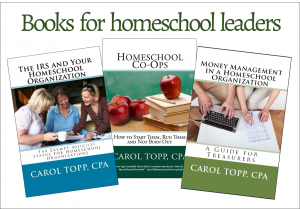 Books to help homeschool leaders start and run a homeschool group successfully. Clear information on unclear topics for freelance writers, authors and self-publishers. 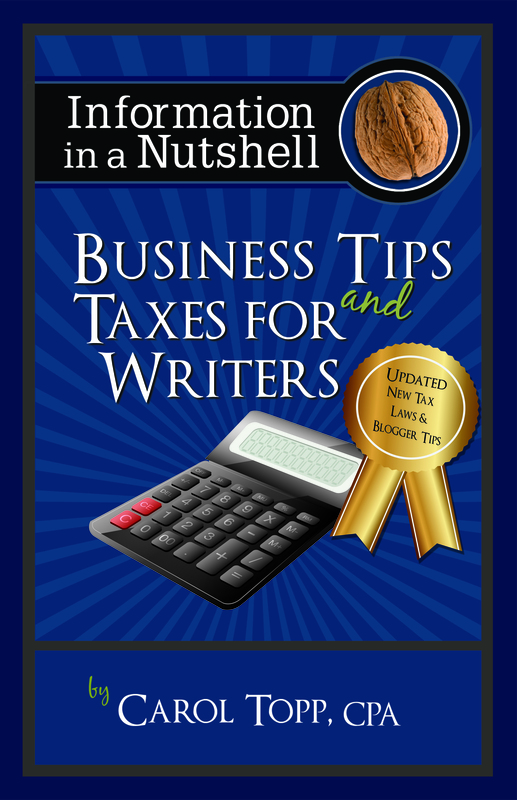 Business Tips and Taxes for Writers website. Start a micro business today!